CANNES, France—Training Uber drivers in first aid and getting Snapchat to connect bullied teens with counselors are two of the five winning campaigns at this year's Future Lions student ad contest, sponsored by AKQA. Google, Heineken and the WWF were the brands chosen by the three other winners, as this year's students were again challenged to connect an audience of their choosing to a product or service from a global brand in a way that wasn't possible three years ago. This year's specific theme was "Make Your Move," urging students to think ahead and create ideas that shape the future. Summary: Google recently invested in SpaceX's ambitious plans to deliver microsatellites across the globe and provide internet to remote areas of the world. But a quarter of the world's population lacks electricity, meaning they still can't access the internet. The chromebook_Type laptop would bring us one step closer to a world where knowledge is accessible to everyone, everywhere. Every key on the computer's keyboard is installed with a Piezo-Electric nanogenerator that harvests energy from the pressure of typing, making it a completely self-powered laptop. Summary: After a few drinks, people tend to feel invincible – and tend to believe they're more sober than they actually are. So instead of a traditional wristband or ink stamp when patrons enter bars or clubs, they'll get a Safe Stamp to ensure they know when they're not sober enough to drive. The SafeStamp is a flat microchip capable of measuring blood alcohol levels that sticks to the skin using temporary tattoo paper, and glows blue when it reaches the legal driving limit. Summary: In large cities, the average response time for emergency services is more than seven minutes – which can be the difference between life and death. With the rapid growth of Uber fleets in major cities, Uber cars can arrive at a person's location in about three minutes. This program would provide Uber drivers with certified first aid training and equip them with lifesaving first aid kits. 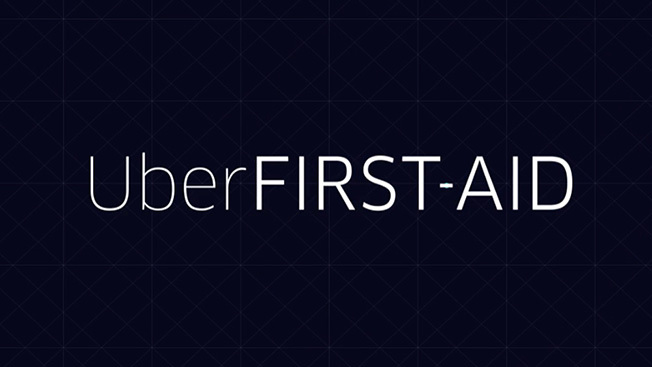 When 911 receives a medical emergency, the closest Uber car is notified. Once at the scene, the driver can provide first aid until the ambulance arrives. Summary: Bullying is a serious problem that can lead to depression and suicide, and young victims are often too intimidated to tell their parents or school authorities. Snapchat could offer a secure and accessible platform to help bullied children. Snaphelp connects children with professional counselors on Snapchat, allowing them to speak freely about their situations and get the help and guidance they need. Summary: Rainforests are an important wildlife habitat, and deforestation is having a significant impact on animal populations. To inspire a human connection, the Treeprint app would use the iPhone's fingerprint sensors to match users to the tree whose rings most closely resemble their fingerprint using the International Tree Ring Databank. The app provides detailed information about the unique tree including location, deforestation threats, and wildlife that call it home. Users can donate to WWF seamlessly using their Apple ID.